Like the selections he plays, cellist Matt Haimovitz likes to sometimes veer off the traditional path. 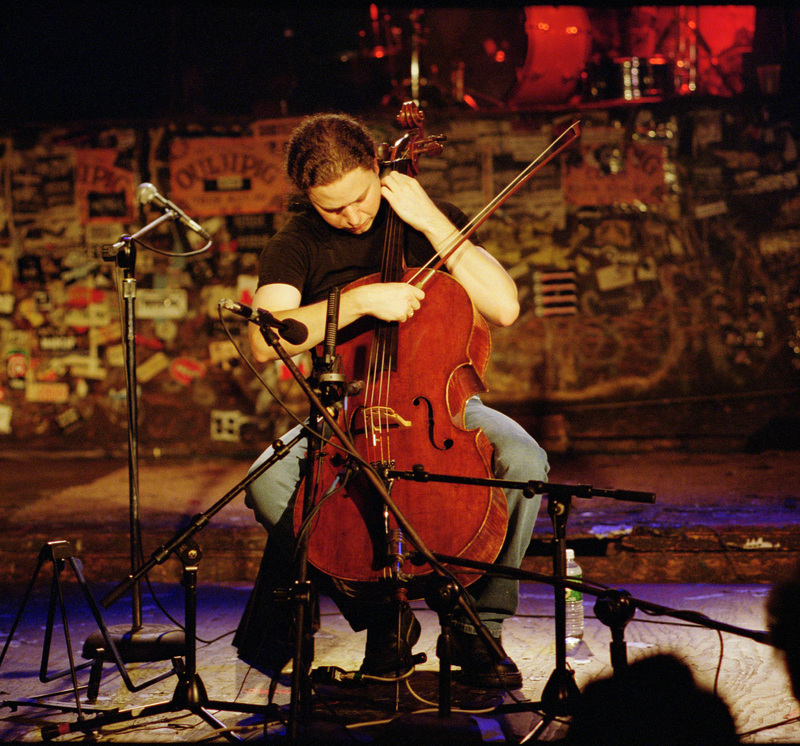 For example, around the turn of the century, Haimovitz embarked on his Bach Listening Room Tour, which saw him eschew concert halls and the like in favour of playing in jazz clubs and rock venues across the continent. While the tour made sense to Haimovitz — he first thought of redefining what it meant to be a classical musician when he was doing his undergrad at Harvard University and noticed that no one his age was in the audience — it didn’t to others. “When I first started, there was definitely a sense among some in the classical establishment that I had gone off the deep end and was ruining my career,” the 43-year-old said. That sentiment shifted, though, as he stuck with his belief and others started embracing the idea. Taking his music into alternative venues “really struck a nerve,” he said, but was welcomed. “There were definitely audiences that were too intimidated to go into a concert hall and didn’t feel comfortable there, and felt like they didn’t know enough about classical music to even explore it,” explained Haimovitz, who plays the Grand Theatre on Friday. What he refers to as the “classical tradition” poses a dilemma, he feels. “On the one hand, it’s so rich and, with really great composers and really great music out there, you can spend a lifetime and never completely understand this music, and it can be inspiring throughout that process,” explained Haimovitz, who was nominated for a Grammy for his album Meeting of the Spirits. Nowadays, Haimovitz has started playing with orchestras again and is accepting residencies. He’s currently on sabbatical from McGill University’s Schulich School of Music and is touring a number of different shows, one of which he plays alongside pianist Christopher O’Riley. The pair will be playing pieces from their album Shuffle.Play.Listen. While Haimovitz and O’Riley will be playing traditional pieces from Bach and Stravinsky, they will also be playing arrangements from popular artists such as Arcade Fire — Haimovitz sees some of its members from time to time in his Montreal neighbourhood after meeting them at the Grammys — and Radiohead. O’Riley has his own show on National Public Radio called “From the Top,” and he often uses his own arrangements as segues, Haimovitz said. One show, the segue O’Riley played featured a Radiohead song. And then he started receiving queries from listeners. Classical fans have been receptive to their arrangements of popular songs, Haimovitz finds, and, in fact, some are as complex as classical pieces. “I really subscribe to the Duke Ellington philosophy,” said Haimovitz, who, in the past, has also created classical arrangement of songs by the likes of Jimi Hendrix and Led Zeppelin. What: Cellist Matt Haimovitz and pianist Christopher O’Riley play selections from their album, Shuffle.Play.Listen. When: Friday, March 7, starting at 7:30 p.m.
Where: The Grand Theatre, 218 Princess St. Cost: Tickets are $19, $29 and $39 plus the applicable fees and taxes. For more: For more info, go to http://www.matthaimovitz.com.